CORONA, CA -- CIRCOR Aerospace Products Group, part of CIRCOR International company (NYSE: CIR), has appointed industry veteran Michael Dill as the Director for Continuous Improvement for the CIRCOR Aerospace Products Group. Lean manufacturing and continuous improvement are one of the foundations of the CIRCOR Business System. Dill brings extensive industry and continuous improvement experience to this new role and will report to CIRCOR Aerospace Group VP Christopher Celtruda. Dill will represent the aerospace group on the CIRCOR Council for Continuous Improvement. In this role, he will have full responsibility for implementation of lean, Six Sigma and overall change management across CIRCOR Aerospace’s North American, Asia, European and North African aerospace businesses. He will oversee site level staff and change initiatives, drive the annual Strategy Deployment process and be actively engaged in the development and execution of group strategy and change efforts. In his career, Dill has spent over 20 years with Parker Hannifin, Shaw Aero and Milliken & Company. He brings extensive experience in change, lean, manufacturing and business leadership, resulting from his career assignments in Industrial Engineering, Operations Management, Materials Management and Program / Business General Management. Previously, he was the Business Unit Director of Lubrication and Heat Management at Parker Hannifin and prior to that Vice President and General Manager of Shaw Aero Devices, a $70 Million manufacturer of fuel, oil and water system components. 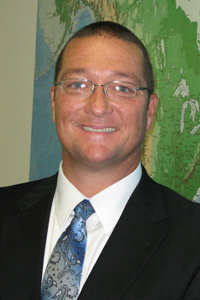 Mike earned a Bachelor of Industrial and Systems Management degree from the Georgia Institute of Technology and has been an active leader in South Florida Community and Economic organizations. He will be home-based in Florida and is expected to travel extensively to ensure CIRCOR Aerospace’s continuous improvement goals are achieved.